This is a funny cartoon soap box. It looks like a beautiful basket. The box is divided into two sides so it has more accommodation. The marvelous function of this soap box is that it can be a professional spy camera. The tiny spy camera is built inside the soap box. It is so secret that you can’t discover it easily from its surface. 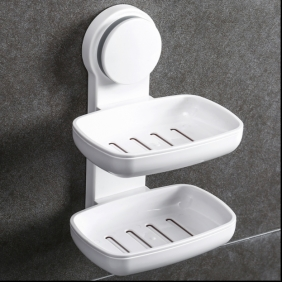 You can put this soap box in your bathroom and it won’t cause other’s suspect. The high resolution of the pinhole camera which is up to 1920x1080 can help to get clear video image with voice. Long hours shooting is important. This product has an 32GB memory card and its battery has high capacity, so it can shoot at least 8 hours video for one time. There are so many amazing things in the life. If you want to record these things when you are out, this Spy Soap Box Hidden HD Spy Camera is no doubt a good helper. bathspycamera.com Spy Soap Box Hidden HD Spy Camera DVR 32GB 1920x1080 Resolution Motion Activated- Description: This is a funny cartoon soap box. It looks like a beautiful basket. The box is divided into two sides so it has more accommodation. The marvelous function of this soap box is that it can be a professional spy camera. The tiny spy camera is built inside the soap box.